Some twenty-five hundred years ago, the Ancient Babylonians constructed mud brick towers that rose up towards the night sky. The towers known as Ziggurats, could have very well been for making observations of the night sky in ancient Mesopotamia, present day Iraq. Scribes that may have used the towers gathered unrivaled knowledge of the heavens. However, the Babylonians contributed more than just building towers to the world of ancient astronomy. In ancient times, tablets were often kept by cultures to record important dates, traditions, a historical account of their culture and astronomical events that occurred. The ancient Babylonian tablets spoke of a tale that recounted many astronomical events. The first breakthrough in deciphering ancient scripts came as a result of deciphering the Rosetta Stone, which had been discovered by French soldiers during a campaign in Egypt in 1799 led by Napoleon. The Rosetta Stone eventually found its way to the British Museum. Consisting of three inscriptions, one above the other, each inscription was identical except that it differed in its script. One of the scripts was in Greek and once deciphered led to a breakthrough in understanding Egyptian demotic and hieroglyphic texts. Ancient Babylonian tablets that were recovered were also being deciphered by scholars and priests alike. Thousands of them were arriving in Europe from the Near East. Most of them were discovered casually by laborers working around construction sites. Museum officials were purchasing these tablets from antiquities merchants in Baghdad. Unlike the Rosetta Stone, there was no key to understanding the scripts. Instead a group of scholars worked on the scripts with laborious study over a period of many years. What was revealed from deciphering the tablets was absolutely astonishing. The present day arrangement of the calendar into its present pattern of weeks and months is in part attributed to ancient Babylonian scribes. The Babylonian scribes had predicted the motion of the moon with mathematical precision. Scholars were also able to identify the names of the major planets on the tablets thus paving the way for future discoveries. Western astrology can also be directly linked to the Babylonians. The twelve signs of the zodiac used today are essentially the same ones developed by the ancient Babylonians some twenty-five hundred years ago. Eclipses were also predicted to a great deal of accuracy. They practiced sophisticated arithmetic dating back to 1800 B.C. During this early stage, there already existed tables for division, multiplication, squares, square roots, exponential functions and other mathematical procedures. Algebra was also used to tackle problems. In fact, the Babylonians knew of the famous Pythagoras theorem a full thousand years before Pythagoras. Only about seventeen hundred Babylonian astronomical tablets have been published so far. Many thousands lie unrecorded in the storage rooms of museums throughout the world. Furthermore, the ones that have been studied belong to a period of only the last few centuries (from 400 B.C. onwards), by which time most of the astronomical techniques used by the scribes had already been developed. So essentially we know very little about the methods used by the scribes to accurately predict the motions of stars, planets and the timing of eclipses. What is known, however, is that around 400-300 B.C. a true system of mathematical astronomy emerged and the scribes were able to draw on centuries of recorded observations. After consulting these lists, the scribes looked for patterns among the timing of the events. The number patterns that resulted were then projected into the future and recorded on tablets, similar to a present-day astronomical almanac. 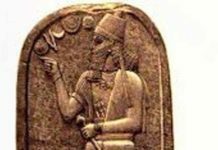 As far as scientific inquiry into what caused the motions of the heavens, the ancient Babylonians seemed to be unconcerned with that aspect. When Alexander the Great conquered Mesopotamia, the Greek world come under the influence of the Babylonian culture. Greek astronomers and philosophers were exposed to the knowledge acquired by the Babylonians over many centuries. Early Greek philosophers who were influenced by the Babylonians include Hipparchus and Ptolemy. Hipparchus is known to have improved the values for the period of the Moon from Babylonian theories. The Metonic cycle, devised by the Greek astronomer Meton of Athens, is also attributed to the ancient Babylonian scribes.